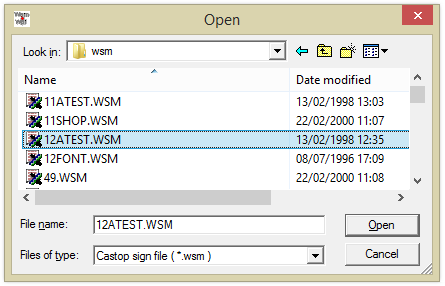 Here we will explain the steps required to convert old Castop wsm files to the intermediate wpf format. You may want to use this procedure if you are upgrading your old 16-bit Wissen software and wish to convert your old files to a format compatible with your new version. Note: The converter is supplied and installed with 16-bit Wissen programs Version 4 and will work only on a 32-bit edition of Windows. Note: Long paths and filenames are not supported by the wsm converter. 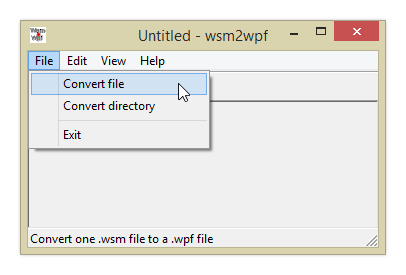 The wsm converter can convert individual files or whole directories. From the Wissen program group choose Wsm converter. The converter starts and the window opens. From the File menu choose Convert file. 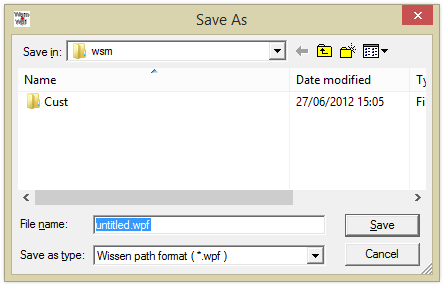 Browse to the location of the wsm file you wish to convert and select it, then click Open. Now choose a destination for the new wpf file. You can use the same location as the original wsm file. The original wsm file remains as it was and is not deleted. Leave the default name as Untitled.wpf and the converter will use the same name for the converted file as the original file. Click Save when ready. 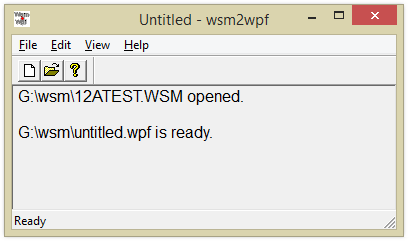 The wsm file is converted and a new wpf file is saved. The converter displays the conversion result. Repeat the steps above, selecting Convert directory in step 1.